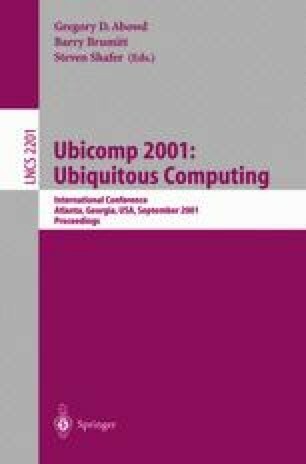 Although ubiquitous computing hardware technology is widely available today, we believe one key factor in making ubiquitous computing useful is a framework for exploiting multiple heterogeneous displays, whether fixed or on mobile computing devices, to view and browse information. To address this issue, we propose multibrowsing. Multibrowsing is a framework that extends the information browsing metaphor of the Web across multiple displays. It does so by providing the machinery for coordinating control among a collection of Web browsers running on separate displays in a ubiquitous computing environment. The displays may be “public” (e.g. wall-sized fixed screens) or “private” (e.g. the screens of individuals' laptops or handhelds). The resulting system extends browser functionality for existing content by allowing users to move existing pages or linked information among multiple displays, and also enables the creation of new content targeted specifically for multi-display environments. Since it uses Web standards, it accommodates any device or platform already supported by the Web and leverages the vast existing body of Web content and services. We describe the design and implementation of multibrowsing and a variety of scenarios in which we have found it useful in our test bed ubiquitous computing environment. CobWeb Collaborative Web Browsing System. http://www.cs.unc.edu/~stotts/cobweb/doc/index.html. Interactive Workspaces Group at Stanford University. http://graphics.stanford.edu/projects/iwork.